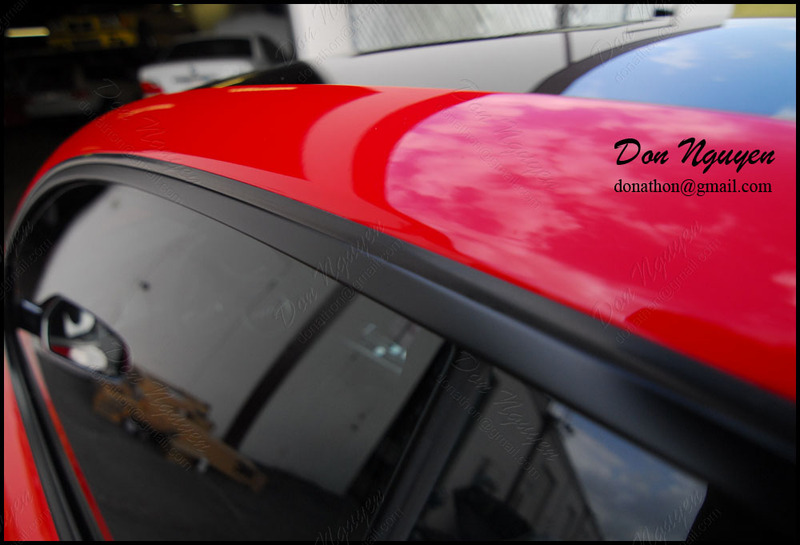 I had someone ask me if I could post pictures of blacked out window trim on a red colored car. The owner of this red Audi S5 had me black out his chrome/brushed aluminum window trim with my matte black vinyl material. I believe the owner of this car was from Los Angeles and drove out to me in Anaheim Hills/Orange County to have the work done. I think the matte black provides a nice contrast with the bright color of the car, but I think gloss black would have looked just equally as good in this case.